Jenni is a Programme Manager working on the ShareLab Fund. In 2016 we launched the ShareLab Fund with a call for ideas that made use of collaborative digital platforms to create social impact. We selected eight pioneers who we’ve been working with closely over the last year and a half. Now the process is coming to a close and we’re starting to review the progress made and the lessons learnt. We’re going to be publishing updates as they come along and will wrap things up by collating our findings into a formal set of observations and recommendations. We selected the Hearts Milk Bank based on the scale of their ambition, the passionate and experienced founders supported by credible partners and the potential to create large-scale positive health outcomes for both babies and mothers. We were also interested in the idea that they were creating a marketplace for a currently rationed commodity - where they were growing both demand and supply in the hope of driving down the unit cost of the milk and therefore increasing its availability nationwide to full-term as well as pre-term babies. The organisation is not primarily a platform business but it does fit well with the ethos and models of the collaborative economy. By developing an app to automate the arrangement of collections from donor mothers they have released the team from manual, laborious tasks and enabled both the scaling of the original initiative and the development of a biobank of breast milk samples that will aid research into breast cancer risk. 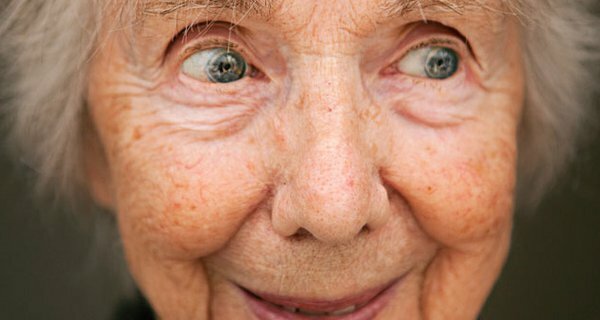 If you haven’t heard of human milk banking, you’re not alone. A study in 2015 showed that only 1% of the population knows it is possible to donate surplus breastmilk, and even fewer know why you would. Despite being endorsed by the World Health Organisation and milk bank numbers increasing globally, this orphan service is little known by either general public or healthcare professionals. Milk banks operate very much like blood transfusion services. They screen donors for health and lifestyle factors that may impact milk quality, and then collect, heat-treat and screen the milk for bacterial contamination, all to make sure it is safe. The milk is then used to feed very premature or sick babies whose own mothers need time to establish their own supply. Donor milk acts like a medicine, and contains many factors, even after freezing and heat treatment, that protect the vulnerable developing gut and support the baby’s immune system. Donor milk can be life-saving in itself, helping to prevent a range of complications of being born too early. Perhaps most importantly, it can also help the mother to establish her own milk supply, knowing that her baby is receiving the next best alternative. Donors are usually mothers with a surplus of milk for their own babies, but often mothers who are expressing milk to maintain their supply while their baby is ill in hospital provide safe, screened donated human milk to hospitals, where it is used to feed babies whose mothers are unable to provide any or enough of their own milk. The Hearts Milk Bank (est. 2017) is a new not-for-profit social enterprise based in laboratories at the University of Hertfordshire. This is the first non-NHS milk bank, and was established to address the postcode lottery faced by hospitals in this region and provide a centre of research and innovation in human milk and milk bank processes. The processes involved in milk banking have changed little in decades, and donors are mostly recruited using telephone or face-to-face interviews, questionnaires and blood tests. Some larger milk banks may never meet any of their donors, and staffing issues can mean that donors feel disconnected from the process of donation and the benefits the milk bank produces. 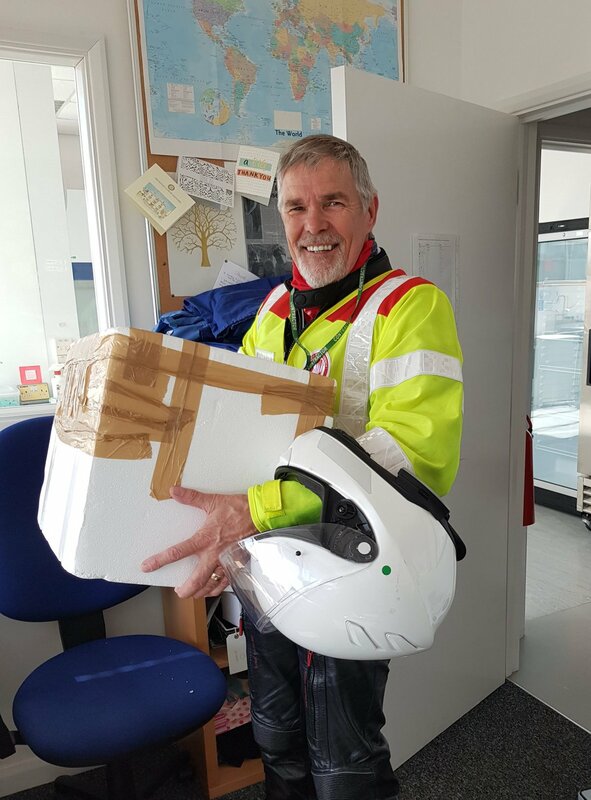 Milk is collected from hospitals and donors’ homes by either the milk bank team, or volunteer couriers from different branches of the SERV or Blood Biker charities, driving motorbikes or cars. This invaluable volunteer-led service works with the Hearts Milk Bank. When we started at Hearts, we primarily recruited donors from our local community and hospitals in Hertfordshire. 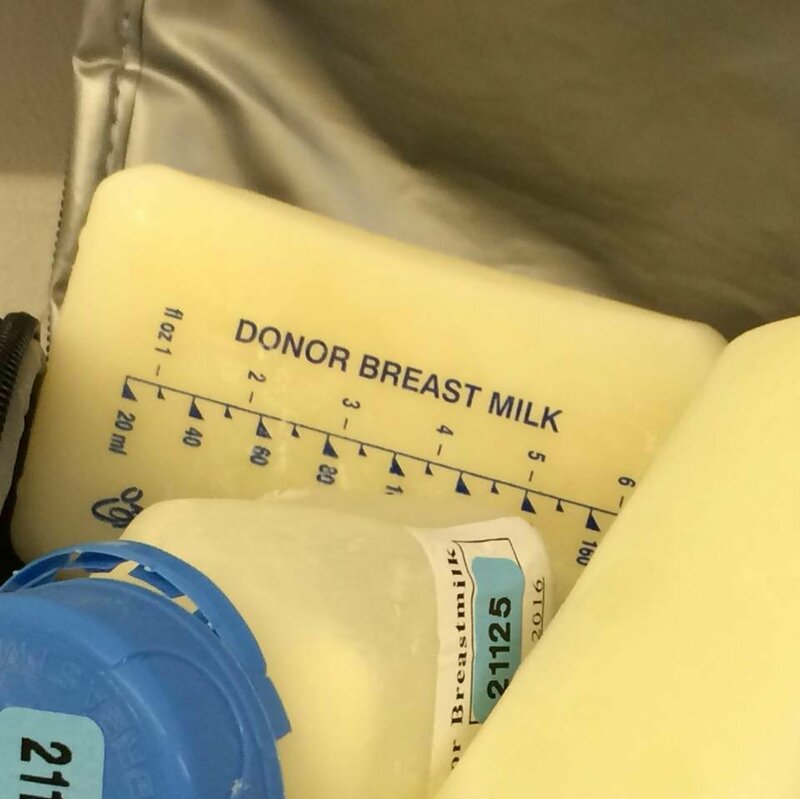 Donors asked for collections of their milk by phone or email to the milk bank, and then milk bank staff called or emailed the SERV Herts and Beds coordinator. SERV would then contact the donor, and find a courier in the team of volunteers who could collect and liaise with the donor directly. The process was cumbersome and risked mistakes and delays given the number of strands of communication involved, and the large numbers of donors contacting the milk bank. The Nesta ShareLab grant allowed an innovative approach to be developed with a four-way collaboration between the Hearts Milk Bank, digital development consultancy White October, Unpackaged (a social enterprise committed to reducing waste and improving efficiency) and SERV Herts and Beds. A web-based portal was developed that enabled donors to register using their unique donor ID, select a range of times and dates that suited them for collection, and enter how much milk was to be collected (essential for bringing the right transport boxes!). After initial meetings to identify the problem, involving former milk bank donors and the wider HMB team, this simple, four-page app was developed using an iterative process. Feedback was gained from all key stakeholders and focus groups involving the earliest milk donors to the Hearts Milk Bank. This feedback was presented at the European Milk Bank Association biannual conference in 2017, and requests for translations into multiple languages have been received from all over the world. After substantial testing, the app went live in January 2018. An average of 5-10 collections are booked through the portal each week. The interface allows the milk bank team to see how much milk is coming and when so we can plan staffing and freezer space, and it allows the SERV controllers to hand over jobs simply. There is still some work to do to optimise the whole system, but it is live, functional, and getting great feedback from our donors. Pasteurised, bottled and labelled milk ready to be delivered. This is the first stage of a planned series of digital developments. 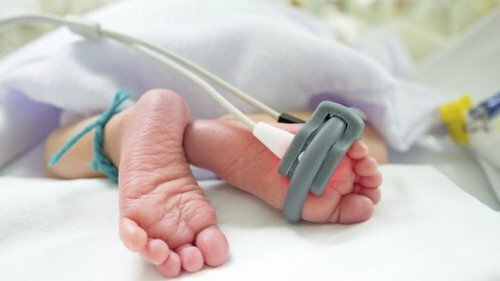 The Hearts Milk Bank has recently started pioneering a donor milk tracking system, developed by Savant, providers of healthcare tracking systems to notable clients including NHS Blood and Transport. White October and Savant have already been discussing how to integrate platforms, and the app was coded from the start to enable an interface to happen simply and in line with GDPR regulations in the future. Future development will enable the donor to receive an email when her milk is issued to a hospital, bringing the donor even closer to the process and saving the milk bank substantial administrative time. As demand grows for donor milk for sick babies, and for babies whose mothers are unable to provide breastmilk, milk bank services will need to expand. If technology is already in place to enable this, the future will look substantially brighter! 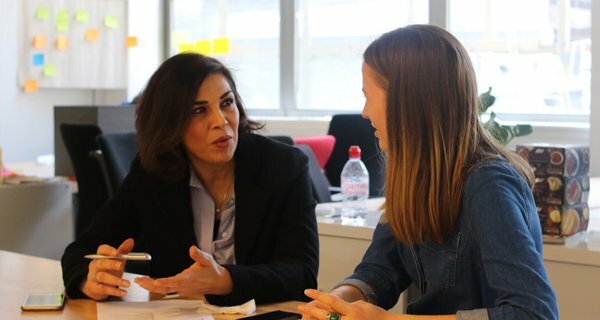 How a language-learning platform taps into the linguistic talent and cultural insights of refugees - and facilitates their entry into the UK workforce. 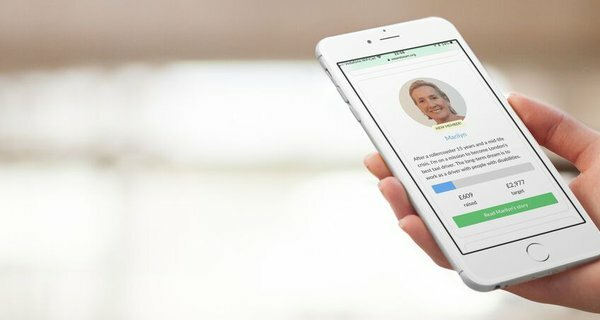 Can a digital market-place help elderly people live independent lives for longer by creating direct connections with self-employed carers? ShareLab grantee TrustOnTap shares what they've learnt.